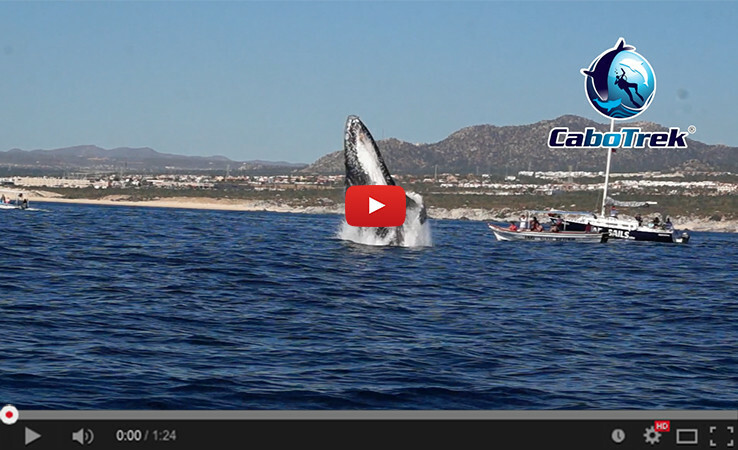 This video is a tribute to the amazing whale watching season we had this year in Cabo San Lucas! The whales were very active and gave us plenty of good times to share with everyone that joined one of Cabo Trek’s tours. Every tour this year was a surprise, choosing the best footage to put together this video was a hard task…our hard drives are packed with incredible images! What helps making this video incredible are surely the images taken from the sky by the drone as well as those we took underwater, not to forget the sounds that we were able to record with the hydrophone! Thanks to all the people who joined us in these very intense month, this video is for you, without you any of this wouldn’t be possible! And many thanks to all those who took those couple of minutes to review us on trip advisor! WE WON THE CERTIFICATE OF EXCELLENCE 2015 ON TRIPADVISOR ! We are already working on the upcoming 2015-2016 season and believe it or not we can’t wait to start or better said re-start! We will put a lot of effort in making our whale watching tours even more exciting and in the meantime, should you be in the Baja California Sur area please have a look at our SCUBA DIVING website: http://cabodivetrek.com, same enthusiasm, same excellent service, different exciting activity!